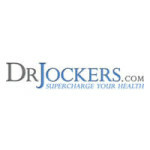 Offering their own line of all natural health products, supplements, vitamins, and healing agents, customers will be able to order directly from Dr. Jocker’s by visiting their online retail outlet. Many of the products available on their site are not available anywhere else, and many of the bundles that they offer at a substantial discount cannot be found in retail stores, either. Customers can save 30% or more by bundling different product stacks with one another depending upon the supplements and health products that are being combined. Every order of $49 or more ships free of charge at Dr. Jocker’s.